And suddenly, I found I was on an unexpected pilgrimage. “This is a tale of two gardens: mine and Mr. Krippendorf’s. Mine is a small city back yard laid out in flower beds and gravel walks, with a scrap of pine woods in the background; Mr. Krippendorf’s is hundreds of acres of virgin forest." 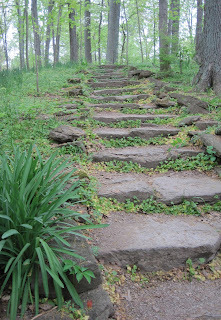 My unexpected pilgrimage was to the Cincinnati Nature Center which includes the hundreds of acres of virgin forest that was Carl Krippendorf’s garden, Lob's Wood, much of it still full of the thousands of daffodils, Lycoris, and other bulbs he planted wherever he could. The Cincinnati Nature Center was one of several stops planned for a regional meeting of the Garden Writers Association. In the back of my mind, I had wondered if this nature center was anywhere near Lob’s Wood, which I came to know of through reading books by Elizabeth Lawrence, including her memoir of Mr. Krippendorf and his garden, Lob’s Wood, which is based on their ten years of correspondence. I didn’t do any advance research about the gardens we were going to visit for the regional meeting because I hadn’t really taken to heart the lesson I learned last fall when I visited Montrose and other gardens in and around Raleigh, North Carolina. Do your research about a garden ahead of time, so that when you are there, you’ll know what you want to see in the limited time you will have. That’s why I wasn’t sure what awaited us at the nature center. 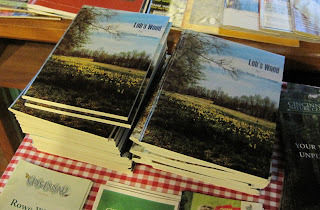 I just walked in to their visitor’s center early in the morning and saw several stacks of Lawrence’s book, Lob’s Wood, on a table. 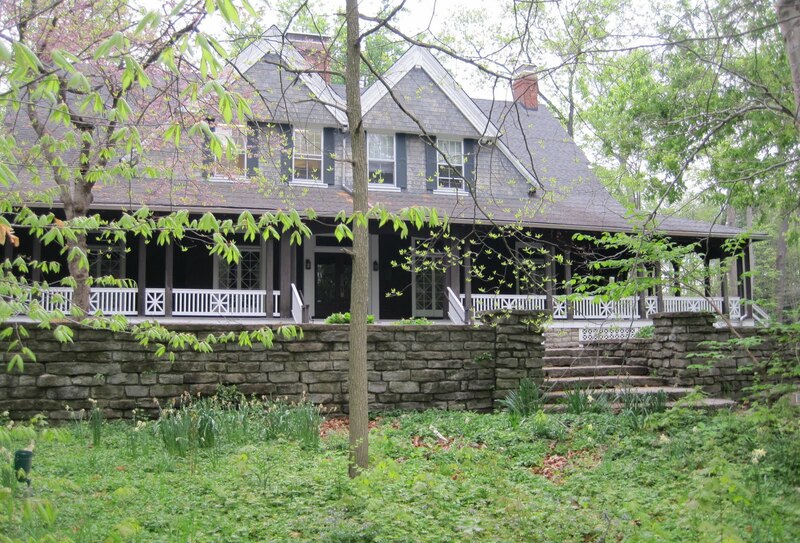 Then I realized and confirmed that I was unexpectedly going to see the garden of Mr. Krippendorf, one of the many people Elizabeth Lawrence corresponded with extensively about flowers, bloom times, plant hardiness, and gardening in general. 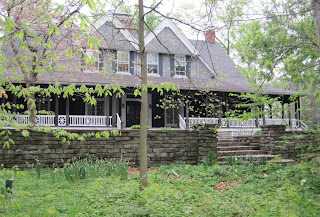 We enjoyed a guided tour through the woods, now known as Rowe Woods, down limestone paths that Mr. Krippendorf had supervised the installation of, through woods that had just a few weeks before been filled with daffodil blooms, to the house known as Krippendorf Lodge that he built for his wife, Mary. 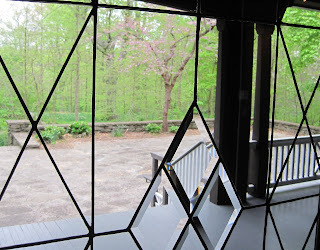 We had just a few minutes to tour the lower level of the lodge, where I looked out through leaded glass windows, into the woods. 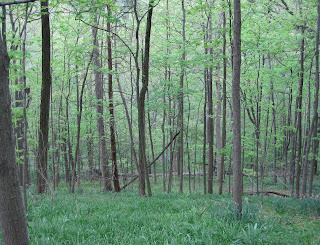 Soon we were leaving Lob’s Wood, Krippendorf Lodge, and the Cincinnati Nature Center to go on to the next garden. Though this pilgrimage was unexpected and brief, I enjoyed it thoroughly. Once home, I pulled my copy of The Little Bulbs off the bookshelf and put it on top of my stack of books to read next. Over the summer, I’ll browse through it, cross referencing plants in the book to what's available in bulb catalogs and picking more bulbs to order for my new gardens. Then next spring I can enjoy their blooms and compare notes with other gardeners, near and far, past and present, on when these little bulbs bloom and how well they grow. Truly, no one does garden alone. We garden with gardeners of the past and gardeners of our present, and for the gardeners of the future. I love this: "Truly, no one does garden alone. We garden with gardeners of the past and gardeners of our present, and for the gardeners of the future." Wonderful...how fortunate to get to see Lob's Wood! And I love that quote also. I actually have that little bulb book in my gardening book collection and haven't looked at it in years - thanks for the reminder that sometimes it's the "old" standards that are the best - it will be a good Summer read when the watering is done! I am disappointed to learn you did not do your homework, because I thought researching the gardens you are going to visit was a really good idea. However, with the excitement of the new garden design I can see how it could get overlooked. Hi Carol - once again you've brought the love of gardening we share to a new level. I must read this book. Thanks for enriching the experience once again. I enjoyed the story of Lobs Woods and I will definitely look up Lawrence's writings. What a wonderful tour this must have beeen. It looks just heavenly. I am going to have to find this book. Carol would you put it on your list to go visit Lob's Woods again when you have more time to spend there. I bet any season would do. 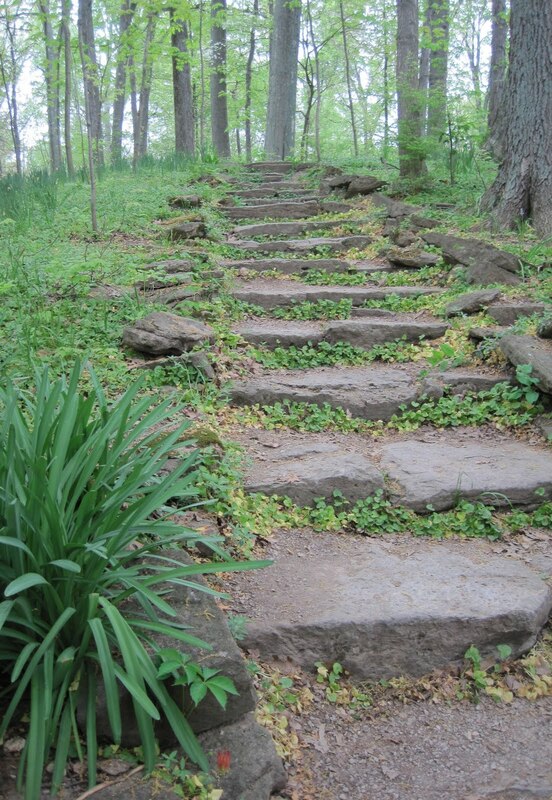 I might have a particular interest in seeing a forest filled with bulbs in bloom next spring though. Thank you all for the comments. It was a big place and I felt fortunate to be there. Christopher, I would indeed put it on my list to see again. An inspiring post. 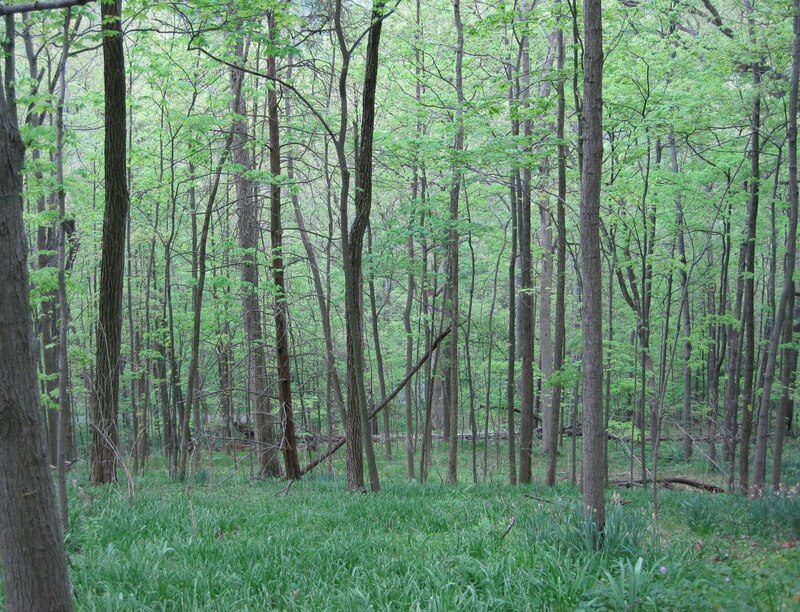 How wonderful you got to meet with Lob's Wood.